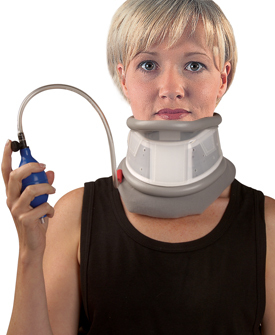 There are cervical traction devices that may be used with ambulation. They may also be referred to as a cervical support brace. The device consists of an inflatable collar that is inflated with attached bulb pumps. 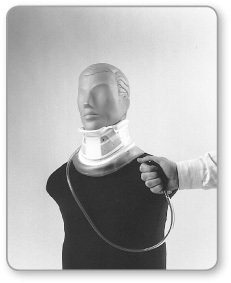 Cervical traction equipment that does not prevent ambulation during use has not been shown to be effective and is considered not medically necessary as a treatment for musculoskeletal and/or neurological conditions.